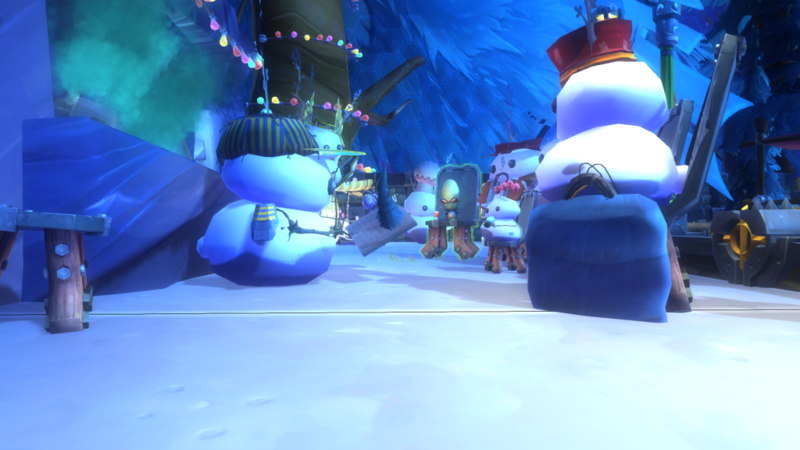 Lots of games have housing now, even Blizzard added their version of housing into the Warlords of Draenor expansion… but, WildStar has proven (again), that they’ve got the right idea with making housing/decorations free form, and not tied to ‘hooks’, ‘plugs’, or anything other than putting stuff where the player wants it. A player on the US PvE Mega-Server Entity (Exiles faction of course, proving further that us Exiles are the awesome ones! :) ) has put together… Christmas Town! Of Course, her name is CindyLou Who (because.. what else would you expect?). I tried to take some video walking around her plot, but.. it didn’t encode well, so you’ll have to settle for screenshots. Keep in mind, most of these decorations had to be built by combining other decorations (there isn’t, for example, a decorated Christmas tree already in game). Lights! look at those lights! 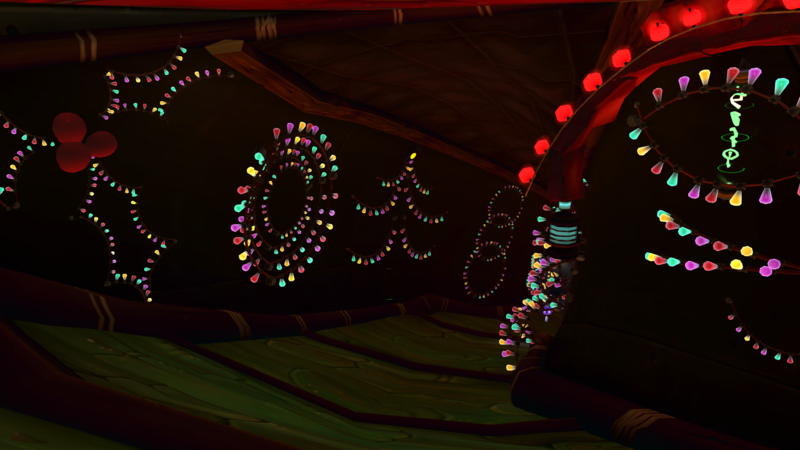 And, she also provides us a few additional spoilers/hints about the secret rooms in her post (go read it, she also has some additional screenshots of her hard work on her housing). If you want to go visit Christmas Town, I suggest using the AddOn “Kael’s Housing Tour” since it will let you just enter CindyLou Who’s name, and take you to her plot. 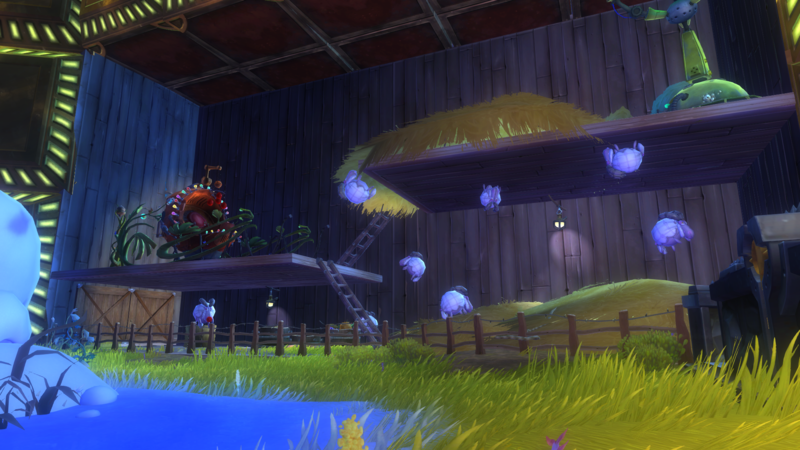 I think it’s great that there is this kind of creativity/flexibility allowed (encouraged) by WildStar’s housing system.. I can’t even change the wall decorations in my Warcraft Garrison, or the floorplan of my SWTOR stronghold.. Time for you other games to step up your housing! No,you can’t change the floor plan in SWTOR,but in Wildstar there are no Holocrons,Revan statues,Hypergates,Stasis Chambers,or Mind Traps,now are there?